Established in 1998, Integral Advisory Limited is a specialist consultancy company focused on three key sectors: energy, health and agriculture. Within these sectors, our core focus is on Renewable Energy and Energy Efficiency, Healthcare and Agribusiness. Integral’s experience covers a selected range of inter-linked actions in capacity building, market development, financial structuring, enterprise and investment support services. 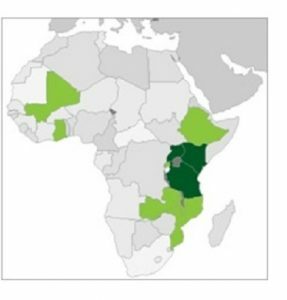 In Africa, our Team has undertaken work in fifteen countries in West, East and Southern Africa, comprised of the following: Ethiopia, Tanzania, Uganda, Zimbabwe, Zambia, Cote d’Voire, Mali, Morocco, Mozambique, Malawi, Rwanda, Burkina Faso, Ghana, Tunisia, and Kenya. The company’s orientation is socially responsible enterprise. The firm is led by Mr. Ashington Ngigi, an experienced socio-economic development advisor. Ashington is the founder, Editor and publisher of Kenya’s energy sector magazine, “Energy Digest”. In the health sector, he founded a leading maternal health information service, The Babylove Network, which hosts Pregnant Magazine, Babylove Magazine and several other tools. He also founded SeedInvest Africa, a business support service in the Agricultural sector.